Welcome back to this training video where you will learn all about the Doji candlestick pattern. What is a Doji candlestick pattern? 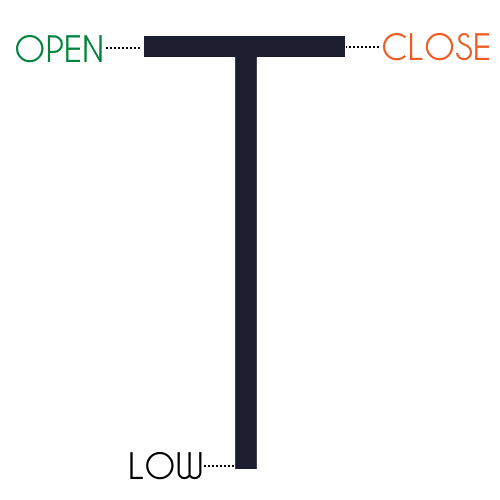 The three different types of Doji candlestick pattern that you must be aware of. 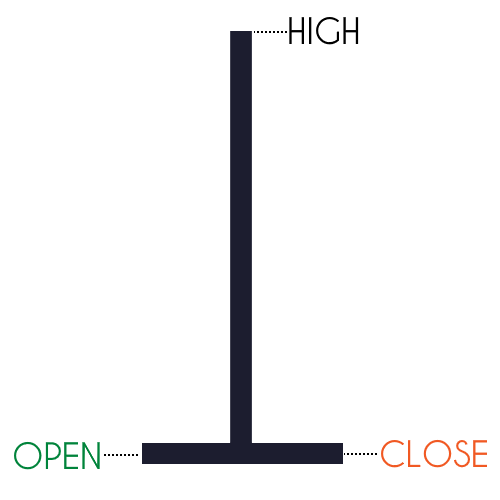 How to recognize it and how to find profitable trading opportunities using the Doji candlestick pattern. To put it simply, a Doji candlestick pattern is when the candle has the same open and closing price. You can see the open and the close is the same level, this is why you see a straight line on the chart. One thing to take note is that a Doji has no body on the candlestick pattern. But as you'll see later on, there are other variations of a Doji pattern. And it's really not too important to concern yourself whether there is a small body or no body on the candlestick pattern. One thing to share first is don't make this mistake when you're trading the Doji candlestick pattern. Often what I see traders do is that when the market moves up higher and then there's a Doji. They assume, "Hey, right now the buyers and sellers are in equilibrium, right? The trend has stalled! There's a good chance it's going to reverse down lower, right?" A Doji simply represents indecision on this particular candle. It's not going to be easy for just one Doji candlestick pattern to reverse an entire trend! Don't make this mistake of just going short just because you see a Doji in an uptrend. So again, the close and the open is the same level but the difference this time around for Dragonfly Doji is that the candle has a lower wick. This means that you can see the rejection of lower prices. You can see that this is a Dragonfly Doji, this wick simply shows you rejection of lower prices. You can see that the market opened higher, came all the way down, and the buyers stepped in and pushed the price back all the way up higher closing at the same price level. This is in essence rejection of lower prices! It tells you that the buyers have suddenly stepped in and pushed the price up higher. Based on the looks of this candlestick in itself, this is a sign of strength because the buyers have pushed the price up higher on the last minute. How can you trade the Dragonfly Doji? Again, whenever your trading candlestick patterns, I don't recommend that you trade it in isolation. Always do it in the context of the market. And I will share with you two types of market conditions that you can use to trade the Dragonfly Doji. First and foremost, you can trade a Dragonfly Doji at support. You have to understand the meaning behind it. You know the exact definition of a Dragonfly Doji is that the opening and close at the same level, and then you have a longer lower wick! But what happens if you have a small body? Does it make much difference to the candlestick pattern? The context of the candlestick pattern is still pretty much the same! You can still call it a Dragonfly Doji. To be exact, most traders would consider it a hammer. But it's somewhat a variation of the Dragonfly Doji! Because understanding the meaning is what matters, not trying to memorize the exact candlestick pattern. Because if you try to do that, you're going to suffer in trading because there are hundreds and hundreds of patterns. So, it's more important to understand the meaning of the candlestick patterns and understand the variations that could occur! I think that's much more important than anything else. Notice that the price came into the area of support, rejection of lower prices. And the market closes slightly higher which is a variation of the Dragonfly Doji. The next thing in the market is that it rallied higher back into the swing high and into the area of resistance. So, if you want to trade this pattern, you can look to get long. Stop loss is beyond the lows of the Doji. You don't want to put smack directly below the low because you could get stopped out quite easily. As a swing trader, you can look to take profit at the nearest swing high or at resistance area. This is one way you can look to trade this Dragonfly Doji which is a variation, otherwise known as a hammer. If you notice, the market is above the 50-period moving average and it tends to bounce off it repeatedly. When the market comes back to the moving average (an area of value). This is where you could potentially look for a buying opportunity. You can see that the price comes into it and then forms an entry trigger for you to go long. Again, your stop loss should be placed below the swing low, and you can look to take profits at the nearest swing high. Or even look to trail your stop loss depending on your trade management. 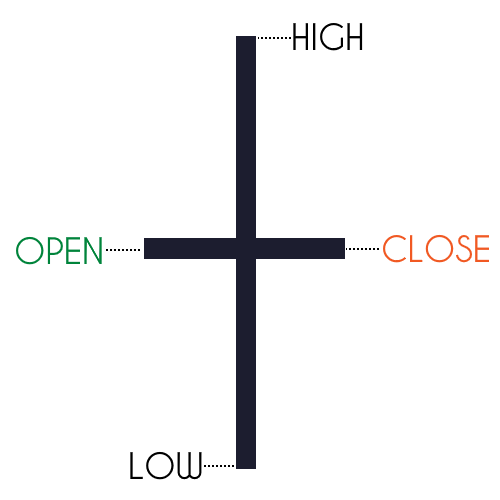 Because for it to happen, the open and the close have has to be on the exact same level! So, you have to be aware of the variations that could occur, this is so, so, so important. As you can see, the candle has the same open and same close, but this time around, it has a long upper wick. Alright, you can see that it opens and closes at the same level. When the market opens, the buyers were in control! And then suddenly the sellers took control and pushed the price down all the way down lower and finally closing near or at the open. Bear in mind, the Gravestone Doji could have variations of it. It could have different types of bodies, but again it still shows you rejection of higher prices. That is the key thing down here and you have to kind of anticipate that there are variations that could occur, especially in the FX markets. So, how can you trade the Gravestone Doji? Again, since this is a rejection of higher prices, you have to look for confluence at levels where selling pressure could exist! 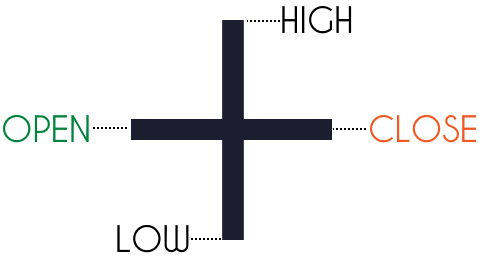 There is an area of resistance, and you have a variation of the Gravestone Doji. You can see the market rejected higher prices and finally closing near the lows. So, you can go short on the next candle. Stop loss above the high, and you can look to take profit just before this area of support. Just capturing one swing in the market. Another way you can trade a Gravestone Doji is in a trending market. So for example, if the market is in a downtrend, you can look for it to pull back to a moving average, pullback to previous support turned resistance, or whatever. Whichever you define as an area of value. Then again, you have a variation of the Gravestone Doji. Otherwise known as a shooting star, which is another variation. You can go short on the next candle, stop loss above the swing high and depending on whether you want to take a swing or not. You can exit just below the swing low, or you can even trail your stop loss using a moving average structure. Whether you want to capture a swing or whether you want to capture a trend, you can use the appropriate trade management or trailing stop loss technique. In this point in time, we have covered the Gravestone Doji and the Dragonfly Doji. Basically, it looks like a normal standard Doji, open and close is the same level. But this time around, the upper and lower wick is very long, they are very long. It's like a regular Doji but this time around, the highs and lows of the candle is very long. This means that there is strong indecision in the market. How do you trade the Long-legged Doji? Usually, it's due to a news release that the market reacted to. It has spiked up and down. That's why you have a Long-legged Doji on your chart! When you see this chart, it can difficult to just trade off it directly. Because the range of the candle is so wide. And if you want to trade off it, your stop loss is going to be very wide as well! So usually if you see a Long-legged Doji, I will not trade it on that timeframe itself. In this case, you notice that the highs and the lows of the Long-legged Doji actually became resistance and support on the lower timeframe. Now you have support and resistance that you can trade off! And you can use the level and the areas on your chart to establish a bias. To establish positions to enter a trade. So, in this case, the market came up higher into the area of resistance which is simply the highs of the Long-legged Doji. It formed this bearish engulfing pattern showing rejection of lower prices. Again, you can go short on the next candle open, stop loss either above the high and then look to ride the move down lower. This is how you can go about trading the Long-legged Doji. This tells you that, "hey, the market is willing to buy at these higher prices, and there's a good chance that this market could breakout higher and you can look to trade the break out of the highs." But generally, usually, the first retest, especially if the move comes in very nice and strong. The level would usually hold and would reverse lower. There's a good chance that it could break out and you want to be trading the breakout of the highs. A Doji is simply a candle with the same open and close. A Dragonfly Doji is a sign of strength because it shows you rejection of lower prices, a variation of this candlestick pattern is the hammer. A Gravestone Doji is a sign of weakness because it shows you rejection of lower prices. A Long-legged Doji usually is a very huge candle that you see on your chart.